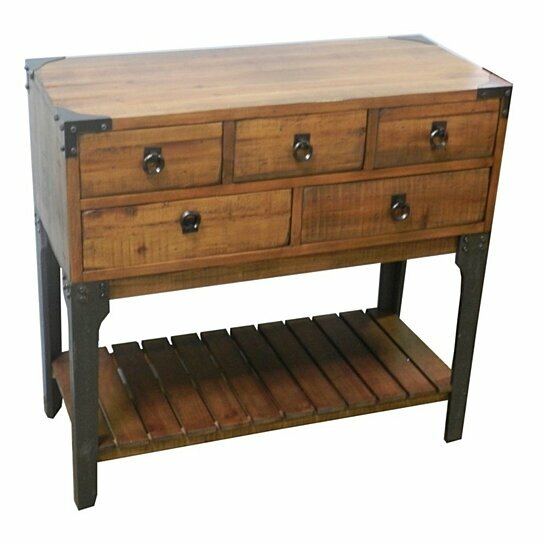 If you like, wooden furniture then this wooden storage console table is worth adding to your home. In a brown color finish, the table will be perfect when added in the living room, bedroom guest room etc. The top is flat and there are five-pull out storage drawer below. At the bottom, there is shelf that allows keeping things required on daily basis. The drawer can be used to keep essentials and accessories. People visiting your house will value you for bringing home a console table like this.